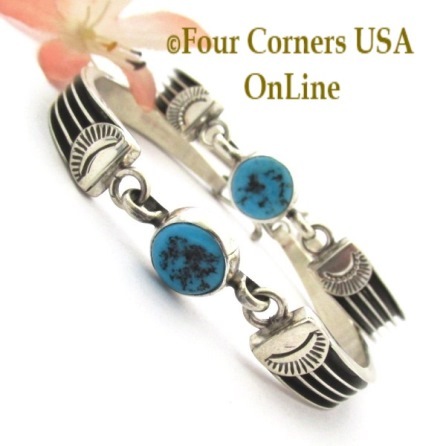 Native American Link Bracelets in Silver, Turquoise and fine Contemporary Inlay from Four Corners USA Online Jewelry Collection. 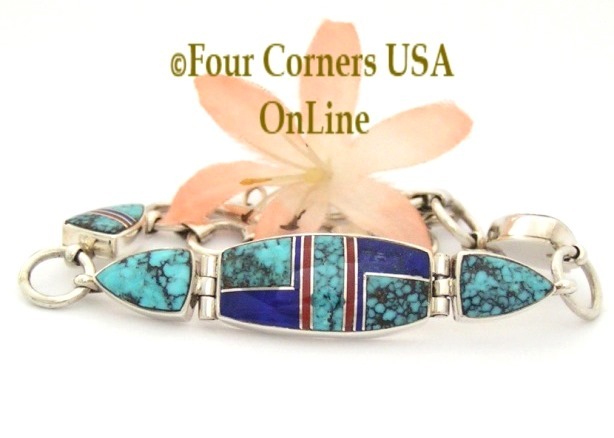 We offer a special selection of Sacred White Buffalo Turquoise and Nevada Dry Creek Turquoise Link Bracelets for the mature women. This special collection of White Turquoise and Dry Creek Turquoise Bracelets are finely crafted and exquisitely proportioned for various wrist and frame size.